Flamboyant evangelist of the Second Great Awakening, served as the second President of Oberlin College (1851-65). He was born in Warren, Connecticut on August 29, 1792 to Sylvester (1727?-1842) and Rebecca (Rice) Finney (1759-1836). When Finney was two years old, his family joined the westward migration and settled in the frontier town of Hanover in Oneida County, New York. Finney is believed to have attended Oneida Academy in Clinton, where he developed his gifts for music and for sports. From 1808 to 1812, Finney taught in the district school at Henderson. For two years, he studied independently while living in Warren, Connecticut, preparing to enter Yale College. In 1814, he moved to New Jersey where, on his schoolmaster's advice, he began working through Yale's college curriculum. After two years, he entered the law office of Judge Benjamin Wright in Adams, New York. He was admitted to the bar in 1818. He settled down as a lawyer in Adams, New York, in 1820 and, on October 10, 1821 in Adams, Finney underwent a dramatic religious conversion, which altered the course of his life. Abandoning the practice of law, he transferred his oratorical skills, powers of reason, and belief in human accountability to the preaching of the Christian gospel. In 1823, Finney put himself under the care of the St. Lawrence Presbytery as a candidate for the ministry; he was ordained in July 1824. He left the Presbytery in 1836 and from then on indentified himself as a Congregationalist. For nearly a decade, from 1824 to 1833, Finney conducted unusual revivals in the Middle and Eastern states, but especially in the towns of New York: Rome, Rochester, Utica, Clinton, Antwerp, Evans' Mills, Western, and Gouverneur. In 1832, he became pastor of the Second Free Presbyterian Church, New York City. His experiences during this time enabled Finney to establish the modern forms and methods of revivalism in America. In 1835, the wealthy silk merchant and benefactor Arthur Tappan (1786-1865) offered financial backing to the newly founded Oberlin Collegiate Institute (as Oberlin was known before 1850), and he invited Finney, on the recommendation of abolitionist Theodore Dwight Weld (1803-95), to establish its theological department. After much wrangling, Finney accepted, on the conditions that he be allowed to continue to preach in New York, that the school admit blacks, and that free speech be guaranteed at Oberlin. At Oberlin Theological Seminary, Finney held the posts of Professor of Systematic Theology (1835-58) and Professor of Pastoral Theology (1835-75), teaching courses in Didactic and Polemic Theology, Pastoral Theology, and Mental and Moral Philosophy. He served simultaneously as pastor of Oberlin's First Congregational Church (1837-72) and was a member of the Oberlin College Board of Trustees from 1846 until 1851 when he was elected president. For much of the academic year, he carried on his immensely successful evangelistic work, visiting Great Britain in 1849-50 and again in 1859-60. Through the Oberlin Evangelist, established in 1839, he expressed his views on doctrinal and practical matters, collectively referred to as "Oberlin Theology" or "Oberlin Perfectionism." Finney taught that the individual has a limitless capacity for repentance. He also taught that an exalted state of spirituality was attainable by leading a Christian life. These New School Calvinist views, opposed by conservative Calvinists, included prohibitions against tobacco, tea, coffee, and most popular amusements. Finney's brand of theological perfectionism placed Oberlin on the theological map for more than a century. In 1869, Finney published The Character, Claims, and Practical Workings of Freemasonry, attacking the order of which he had once been a member. His Lectures on Systematic Theology were published in 1846 and 1847. Among his other works are: Sermons on Important Subjects (3rd ed., 1836); Lectures to Professing Christians (1837); and Skeletons of a Course of Theological Lectures (1840). In 1867, Finney began writing Memoirs of Rev. Charles G. Finney. Edited by James Harris Fairchild and published in 1876, the memoirs deal chiefly with his evangelistic activities; they do not constitute an autobiography. Finney taught up until his eighty-third year, submitting his resignation from the presidency in 1865. He died in Oberlin in August 1875 following a heart ailment. During his life, Finney had three wives. In 1824, he married Lydia Root Andrews (1804-47). They had six children: Helen C. Finney (b. 1828); Charles Grandison Finney (b. 1830); Frederick Norton Finney (b. 1832); Julia R. Finney (b. 1837); Sarah Sage Finney (1841-43), and Delia Andrews Finney (1844-52). Finney's second wife was Elizabeth Ford Atkinson (1799-1863, m. 1848) and his third wife Rebecca Allen Rayl (1824-1907, m.1865). All three women shared in Finney's revival work, accompanying him on his travels and even developing parallel ministries, as Elizabeth Ford Atkinson did during the two evangelistic trips in England. In Oberlin, they were active in various women's organizations, including the Maternal Association, the Infant School, and the Oberlin Female Moral Reform Society. Rebecca Rayl served as Assistant Principal of the Ladies Department at Oberlin College between 1856 and 1865, prior to her marriage. (From the biographical sketch at the Oberlin University Website and the EVANGELICAL DICTIONARY OF THEOLOGY edited by Walter Elwell © 1984, by Baker Book HouseCompany.) For additional information concerning Charles G. Finney on the Web, please check out Oberlin's Images of Finney as well as Biographical Information. Moral Government teacher, author and theologian, he wrote several important works on subjects pertaining to Moral Government and Revival Theology. Although experiencing blessed salvation in his youth, in full commitment to the loving Savior at his church's altar of prayer, his theological training at a leading evangelical institution indoctrinated him with the common idea that one is saved by accepting Christ as savior, without necessarily becoming His dedicated disciple in the total Lordship of submission. These conclusions demanded much future biblical research. Early in 1936, he returned to tractor design engineering to enable the search for the simplest possible expressions of the God-man relationship and the whole process of man's reconciliation. This research went on for ten years without much public ministry. After a period of part-time ministry and a year pastoring, he left his engineering employment in 1950 for some seven years of full time effort, mostly on savings, in more extensive research on past revivals. Most of 1951 to 1953 were spent a seminary and historical collection libraries at Oberlin College researching Charles Finney and the glorious revivals of the past century. Much of Olson's research can be found in his writings on the subjects of Moral Government, the Atonement, the Nature and Character of God and much more, all of which are highly recommended. In 1957 it was back into tractor design engineering for twelve years, continuing regular lectures on revival truths and ministries. After retirement in 1969, these activities continued full time with provided support. Mr. Olson went to be with His Lord in 1989. Father of Reformed and Presbyterian doctrine and theology. Calvin was born in Noyon, Picardie. His father was a notary who served the bishop of Noyon, and as a result Calvin, while still a child, received a canonry in the cathedral which would pay for his education. Although he commenced training for the priesthood at the University of Paris, his father, because of a controversy with the bishop and clergy of the Noyon cathedral, now decided that his son should become a lawyer, and sent him to Orleans, where he studied under Pierre de l'Etoile. Later he studied at Bourges under the humanist lawyer Andrea Alciati. It was probably while in Bourges that he became a Protestant. Not only was Calvin's influence widespread in his own day through his writings, but his impact on the Christian church has continued down to the present day. His works have been translated into many different languages, one of the most recent being the translation of the Institutes into Japanese. The result has been that his theological teachings as well as his political and social views have wielded a strong influence on both Christians andnon-Christians since the Reformation. (From EVANGELICAL DICTIONARY OF THEOLOGY edited by Walter Elwell © 1984, by Baker Book HouseCompany.) For additional historical perspective, see the article "His Ashes Cry Out..." by Dan Corner. Methodist theologian and Professor of Mathematics and mechanical Philosophy at Ohio Wesleyan University. In the nineteenth century, Methodist theologian Adam Clarke had considered the denial of absolute prescience (foreknowledge). Years later, Dr. McCabe was convinced that the long-standing attempt to reconcile absolute prescience with human free will had prevented Christian theology from developing an adequate concept of God, one rooted in the facts of scriptural testimony and religious experience. He concluded that the whole defense of divine changelessness and the "eternal now" had to be discarded for a more favorable, and biblical, view of God which would also allow for a more defensible theodicy. He wrote two influential books on the subject, Divine Nescience of Future Contingencies, A Necessity (1882) and The Foreknowledge of God and Cognate Themes in Theology and Philosophy (1878). Was the founder and president of Men for Missions and a frequent teacher and conference speaker on the subjects of Moral Government, The Atonement, Moral Law, Eschatology, Natural Law and Ethics. An active Christian layman of Chapelwood Community Church. He spoke in over 100 Protestant denominations and lectured on engineering and theology in over 80 colleges, universities and seminaries in the United States, Canada, Mexico, Europe and the Orient. Harry Conn, born in Lafayette, Indiana, studied mechanical engineering and related subjects at Lewis institute of Technology, Armour Institute of Technology, Illinois Institute of Technology and Chicago University. He received an Sc.D. in Applied Science from Colorado Polytechnic. 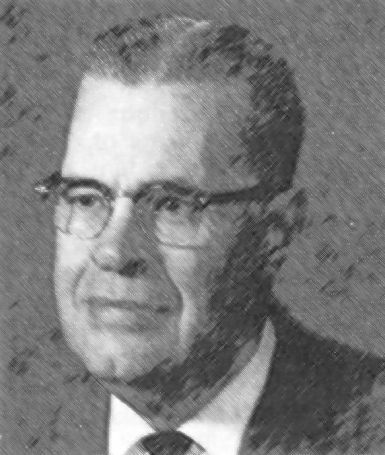 After working for John Deere Harvester Company, International Harvester, Buick and Studebaker, he was employed as Chief Engineer by La Salle Engineering of Chicago and New York. 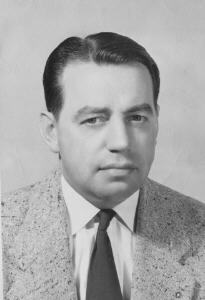 He then became Chief Engineer of Scully-Jones of Chicago from 1948 until 1961. Mr. Conn was until he retired in December 1977 Group Executive of the Esterline Corporation, with responsibility for four firms reporting to him. He was also Board Chairman of the W. A. Whitney Corporation, an Esterline firm, in Rockford, Illinois. Mr. Conn wrote hundreds of technical articles for over 75 engineering and science journals and he contributed to the textbook "Fundamentals of Design." In 1975 Mr. Conn received the Society of Manufacturing Engineers International Gold Medal. Mr. Conn has received the Freedom Foundation's George Washington Medal twice and was also listed in "Who's Who of Engineering," "Who's Who in Business and Finance," "International Businessman's Who's Who" and Marquis' new "Who's Who in the World." In 1975 he also received THE AMERICAN SOCIETY OF MECHANICAL ENGINEERS, Edwin F. Church gold medal which read, "Who contributed more than anyone else to extend mechanical engineering education in manufacturing, and who had for many years devoted his talents to serve and inspire his fellow men in enriching and furthering their careers and usefulness." He remained a Management - Technical Consultant and Ethics Mentor for Anderson Enterprises and was with them for 20 years. Leonard Ravenhill was probably the greatest preacher I ever saw preach. Even now, some twenty years after the first messages I heard him preach, they can fill me with the awe and wonder of God's majesty and inspire me to aspire to greater heights for our God! Born in Leeds, in Yorkshire, England, he was educated at Cliff College in England and sat under the ministry of Samuel Chadwick. He was a student of Church History and an expert in the field of revival. A great friend of A. W. Tozer, he was a prolific writer in his own right and preached till he was well into his later years. Blessed with an exceedingly dry wit and the ability to turn a phrase, Ravenhill was one of the true unsung heroes of the Church in the latter half of the 20th Century. You may find more material by Brother Ravenhill at the Ravenhill Web Site. One of the most popular and well-known ministers of his day. Father of Harriet Beecher Stowe, who wrote Uncle Tom's Cabin, of Henry Ward Beecher, a very famous and influential anti-slavery minister before, during, and after the Civil War, of Catherine Beecher, an important educator, and of Edward Beecher, first president of Illinois State College. Born and raised in Connecticut, Lyman Beecher was the son and grandson of a blacksmith. He studied theology at Yale under Timothy Dwight and was ordained a Presbyterian minister. Between 1799 and 1810, he ministered in E. Hampton, Long Island, NY. Long Island, opposite Long Island Sound from Connecticut, was at the time, an outpost of New England culture. The honor of a dueling legislator does not restrain him in the least from innumerable crimes ... He may be ... in passion a whirlwind; in cruelty to tenants, to servants, and to his family, a tiger. He may be a gambler, a prodigal, a fornicator, an adulterer, a drunkard, a murderer, and not violate the laws of honor. Nay, honor not only tolerates crimes, but, in many instances, it is the direct and only temptation to crime. 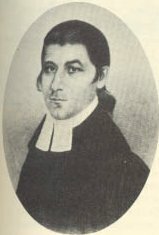 From 1810 until 1826, he preached in Litchfield Connecticut. There he was close to New Haven and the Yale professors of the "New Haven Theology", which injected some optimism into the pessimistic Calvinist doctrines. Nathaniel Taylor in particular influenced him. He was appalled by, and fought against the disestablishment of the church in Connecticut, around 1820, but later came to view it as a benefit to the church to be separated from the government. He helped found the American Bible Society and, in 1825, founded the American Temperance Society, and so greatly influenced the strong temperence movement that picked up steam in the 1830s and thereafter. He was also appalled by the drift of Congregationist churches, especially around Boston, towards Unitarianism, and some time in the 1820s(???) started the magazine Spirit of the Pilgrims, which tried to bring these "sons of the pilgrims", among others, to the true light of his liberalized Calvinism. In 1826, eager to battle the Unitarians in urbane Boston, he answered the call to start a new Congregationalist church there. He started out fighting the "New School" methods of Charles G. Finney and his fellow evangelists, but came to respect Finney and his methods, and later was accused of being a "New School" man himself. In 1832, the wealthy reformers Arthur and Louis Tappan of New York City, former New Englanders themselves, wanted to establish a seminary in the west, and got Beecher to be the first president of Lane Theological Seminary in Cincinnatti, the "Queen City of the West". In 1835, Beecher was tried by the Presbytery due to his supposed "new school" theological heresies. In his Autobiography (actually consisting of Beecher's biographical notes and correspondence, tied together by much text written by Harriet Beecher Stowe and his other children), one of his children asserts that the trial "constituted the first shock of absolutistic theology thoroughly aroused and reacting against the theology of moral government". Perhaps this is a good statement of the confusing conflict between the "new school", or "new lights", interested in saving as many souls as possible, and turning the newly saved onto a path of good works, and the more traditional Presbyterians. From 1850 until his death, he lived in retirement, in Brooklyn NY, with his son, the famous minister Henry Ward Beecher. Beecher's Autobiography throws a strong light on many of the tendencies in human thought and action in his time, and many exciting events. It also gives a wonderful sense of the vitality, the plain down-to-earth communication style, the dedication and the lovability of Dr. Beecher. The best-known evangelist of the eighteenth century and one of the greatest itinerant preachers in the history of Protestantism. Whitefield, an ordained minister of the Church of England, cooperated with John and Charles Wesley in establishing at Oxford during the 1720s the "Holy Club," a group of young men dedicated to seriousness in religion and a methodical approach to Christian duties. Whitefield showed the way to the Wesleys in preaching out of doors and in traveling wherever he could to air the message of salvation. He visited Georgia briefly in 1738 to aid in the founding of an orphanage. When he returned to the colonies in 1739, his reputation as a dramatic preacher went before him. His visit became a sensation, especially when it culminated in a preaching tour of New England during the fall of 1740 when Whitefield addressed crowds of up to eight thousand people nearly every day for over a month. This tour, one of the most remarkable episodes in the whole history of American Christianity, was the key event in New England's Great Awakening. Whitefield returned often to the American colonies, where in 1770 he died as he had wished, in the midst of yet another preaching tour. Whitefield was a decided, if unscholarly, Calvinist. In his one visit to Northampton, Massachusetts, in 1740 he moved Jonathan Edwards to tears by the emotional and evangelistic power of his Calvinistic message. Whitefield also moved Charles Wesley to tears, but to tears of frustration at a Calvinism that was too harsh for Wesley's more Arminian views. Whitefield and John Wesley broke with each other over Calvinistic-Arminian issues in 1741, but they soon mended their differences enough to establish a peaceful truce, and at a memorial service in England after Whitefield's death, John Wesley praised his colleague as a great man of God. Whitefield was not a skilled theologian. Although he preached on the bound will, the electing power of God, and the definite atonement, all themes of traditional Calvinism, he confessed in a letter to John Wesley early in his career that "I never read anything Calvin wrote; my doctrines I had from Christ and His apostles: I was taught them of God." Whitefield did acknowledge, however, that his views had been shaped by the Reformed theology of the English Puritans.